Daniel P. Stieber, Sr., age 87, of Ripon, WI, passed away on Friday, November 16, 2018 at Whispering Pines in Ripon. Daniel was born on August 18, 1931 in Chicago, IL, the son of Paul and Mabel (Kaczmarek) Stieber. 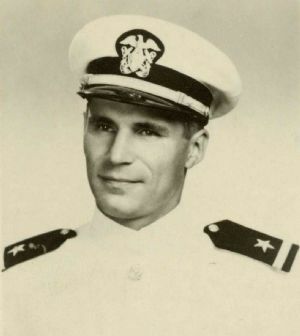 He attended school in Chicago, including DePaul University, and went on to serve our country in the U.S. Navy. In 1953, Daniel married Adele Sadowski in Chicago. She passed away in 2013. Daniel had a passion for rowing, and he also enjoyed playing horseshoes, card games, and ping pong with his wife. Daniel is survived by his children, Daniel (Hedy) Stieber, Jr. of Verona, WI, Christopher (Sandy) Stieber of Ripon, WI, Anne (Lois Steele) Stieber of Black Mountains, NC, Thomas (Lee Holzapfel) Stieber of Maple Grove, MN, and Kathryn Stieber of Chicago, IL; seven grandchildren; and nine great-grandchildren. He was preceded in death by his wife, Adele; and his parents, Paul and Mabel. A graveside service and inurnment for Daniel will be held at 11:00 am on Saturday, April 27, 2019, at Pardeeville Cemetery, Pardeeville, WI. Memorials in his name may be directed to Agnesian Hospice Hope, 745 South St., Green Lake, WI, 54941.